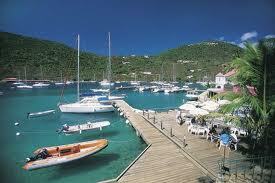 The British Virgin Islands (BVI) is a British overseas territory in the Caribbean, east of Puerto Rico. It is a politically stable democratic territory which is one of the oldest and the most respected offshore financial centers in the world and it got one of the most prosperous economy in the Caribbean. The type of company in BVI is International Business Company (IBC) that is a very popular due to their flexibility, tax liberation status, ease of operation and the fact that they are widely accepted and understood by the international financial community. BVI offshore company is registered under the International Business Companies Act, 1984. In the mid-1980s, the government began offering offshore registration to companies wishing to incorporate in the islands. Since that the British Virgin Islands has become one of the world’s leading offshore financial centers. With more than 700,000 offshore companies. For more information see also : 6 steps to incorporate your offshore company. The flexibility of the legalization allows a company incorporated in the British Virgin Islands to operate with the absolute minimum of fuss. The lack of public registers can make proof of ownership difficult. Contact Us or request a Call Back – we will advise and help to make the right decision! – Case Study for Holding structure.